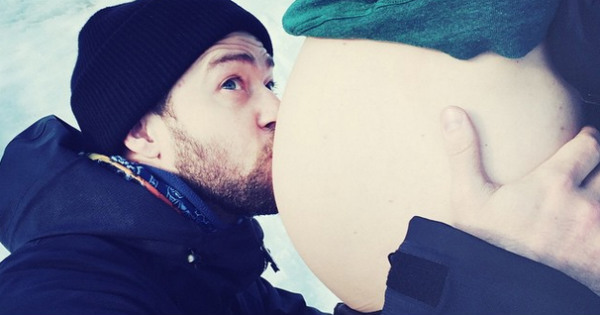 They’ve kept us guessing for months, but Justin Timberlake has finally confirmed one of the celeb world’s hottest rumours – he and wife Jessica Biel are about to become parents. It was the singer’s 34th birthday on Saturday and to celebrate, he posted a picture on Instagram kissing wife Jessica Biel’s rounding belly. “Thank you EVERYONE for the Bday wishes! This year, I’m getting the GREATEST GIFT EVER. CAN’T WAIT. #BoyOrGirl #YouNeverKnow #WeDontEvenKnow #WeAreTakingBets,” he wrote on the post. The genetically blessed couple have been dating since 2007, got engaged in December 2011 and married in October 2012 at a luxury resort in Italy. The baby will be the first for both stars. No word on when he or she is due, though it’s speculated to be about April.